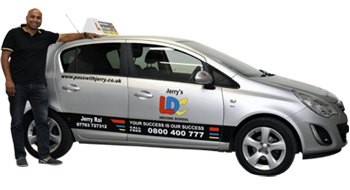 for driving lessons in Castleford, Pontefract, Knottingley, South Elmsal, South Kirby, Hemsworth, Fitzwilliam, Crofton, Walton, Wakefield, Tingley, Morley, Horsforth, Garforth, Micklefield, Burton Salmon, Leeds and surrounding areas. I am currently using a Vauxhall Corsa as my training vehicle. If you would like more details about the car or would like an assessment lesson to see if it is suitable for you then please feel free to "contact me"
I provide driving lessons, intensive driving crash courses and pass plus training in Castleford, Pontefract, Knottingley, South Elmsal, South Kirby, Hemsworth, Fitzwilliam, Crofton, Walton, Wakefield, Tingley, Morley, Horsforth, Garforth, Micklefield, Burton Salmon, Leeds and surrounding areas.